Description: This is the big one, folks. The mother of all Tsukumogami. The one the mundanes see most often. 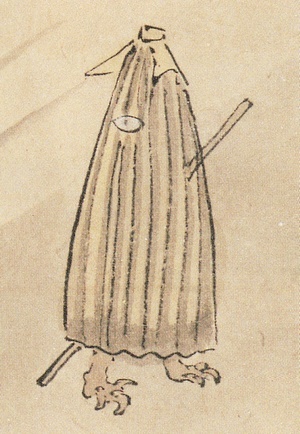 The only one that has remained well-known since the end of the Edo era. Before that, humans were a bit more tuned in to what was really going on around them. When umbrellas or parasols pass their one hundredth year, they get…weird. They grow this one huge eye, and they jump around on one leg. Some even develop arms. And, like all these creepy critters, they get these disgusting, long tongues. Where To Find It: Closet, umbrella stand, flying down the road directly at your face. Frequency: More common than you might like. Danger Level: Various, so assume the worst. Mab’s Eye View: I had a cousin, a wind, that tried to date one. Picked it up and swooped it around. Man, that ended badly. These are not nice guys, these crazy spooky-parasols! If you ever find yourself being chased by one, try driving it off with fire. I know one guy who was so desperate, he lit his mustache on fire. 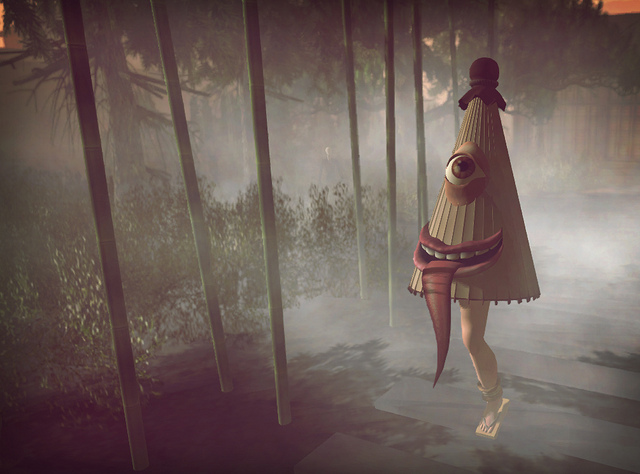 It worked, as far as driving off the kasa-obake, but, Man, that was not so nice for his face! 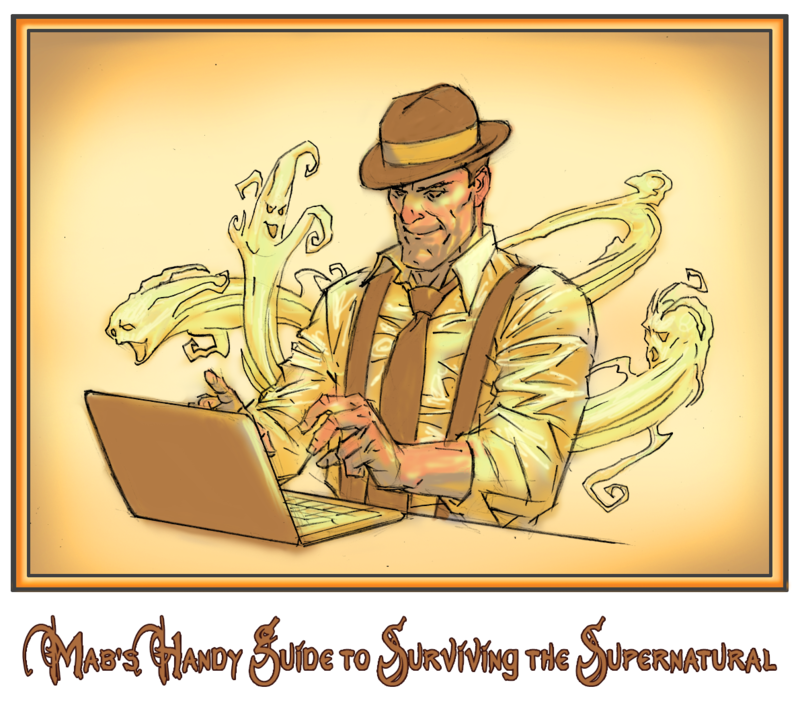 February 20, 2014 in Mab's Handy Guide to Surviving the Supernatural.